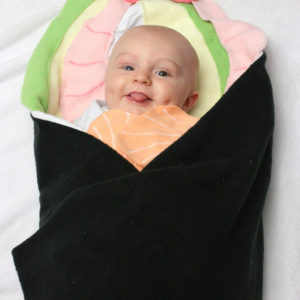 Make your baby look tasty and delicious! 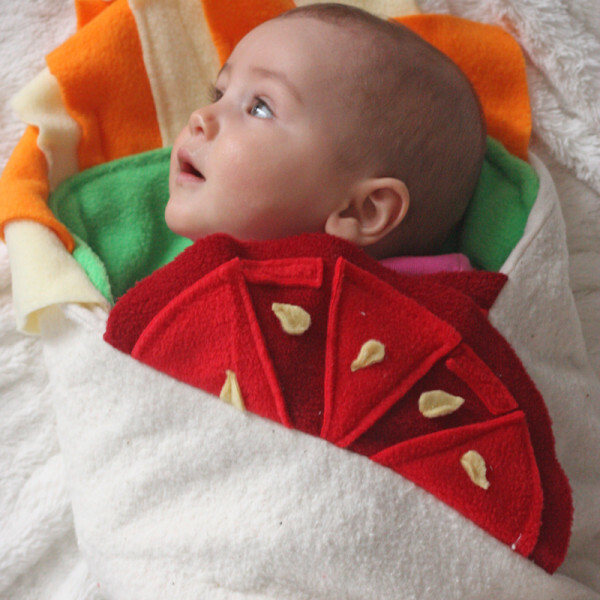 This novelty burrito baby blanket will make your child look like it’s the “meat” in a burrito. 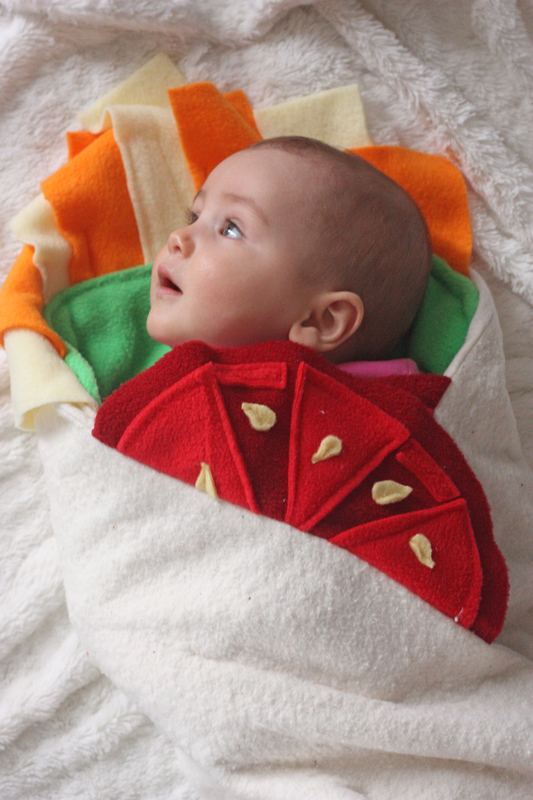 Surrounded by toppings of tomatoes, cheese and lettuce and wrapped in a tortilla shell, this baby blanket will provide some great photo opportunities as well as a few laughs. 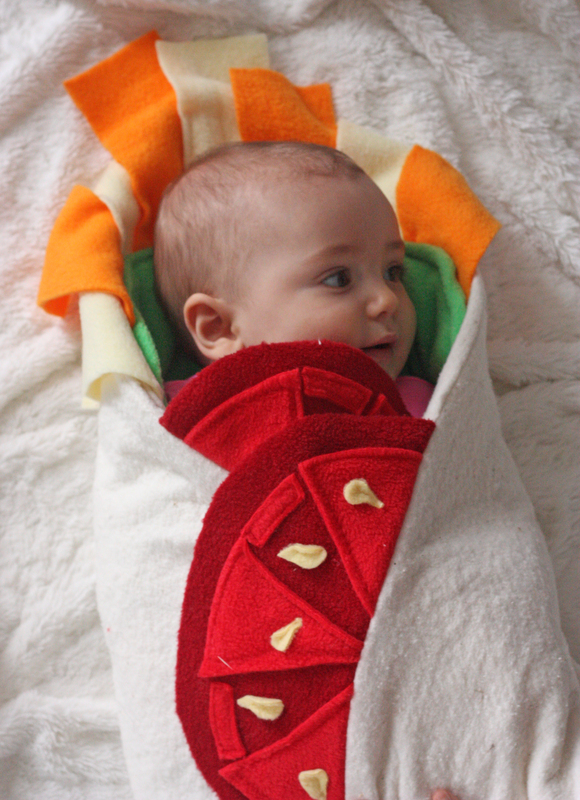 Makes a great baby shower gift or Halloween Costume! Baby blanket is also gender neutral so it makes a great gift for a baby boy or baby girl. The tortilla is made of cotton / flannel. The toppings are all fleece. All made from 100% new material. Hand washable. Tumble Dry Low. As each baby blanket is hand made they may vary slightly from the photos. Baby blanket fits ages newborn to six months. Unfolded baby blanket size is 30″ x 30″. 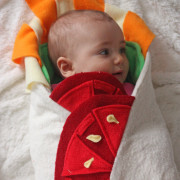 Funny Baby blanket, unique baby blanket, a great swaddle blanket, baby shower gift or Halloween Costume.